Manchester United are convinced that they have seen off the threat of losing David De Gea to Spanish champions Real Madrid this summer. According to Duncan Castles of Yahoo, manager Jose Mourinho is understood to be sure that his star goalkeeper will remain at Old Trafford for at least one more season. Earlier reports claimed that United were not worried about De Gea leaving for Spain, given the options they possess in that department. Moreover, Real will have to come with an astronomical figure to prize the Spaniard away, and the Old Trafford club feels they are in a strong position. The player is also said to be happy under Mourinho’s management, and is eying more trophies. 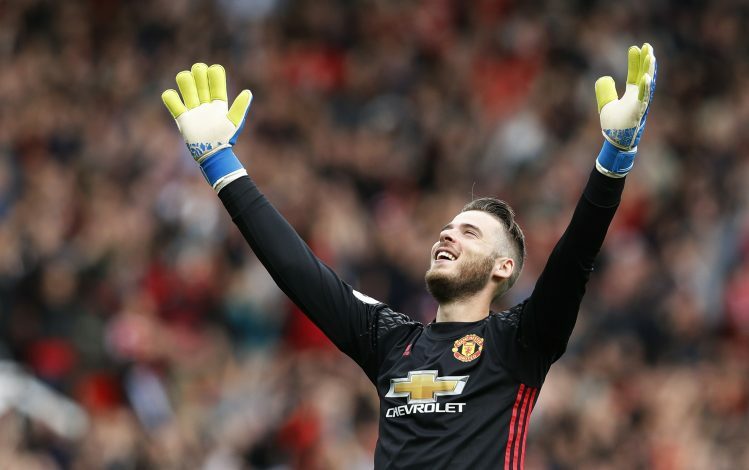 De Gea remains vital for United, as Jose looks up to him in simplifying the ongoing process of restructuring the club’s back four. The former Atletico Madrid player has been the side’s top performer in the past few years, which has led him to become Spain’s No. 1 too. David’s fellow club and national teammate, Ander Herrera, recently revealed during the side’s summer tour of US that De Gea is happy with the Red Devils, and that and he will do whatever it takes to keep the star goalkeeper at the club for many more years to come. Uncertainty over the 26-year-old’s future has become an annual occurrence at the club. Back in 2015, the Real Madrid came within seconds of signing De Gea in a deadline-day deal that fell through, because United failed to deliver paperwork in time to secure the international transfer clearance. De Gea then signed a contract extension under former manager Louis van Gaal, and has since excelled with his work ethic. Jose will want to have his man at the club for as long as possible, and the Portuguese will definitely offer him a new contract in the near future.